Eretria. 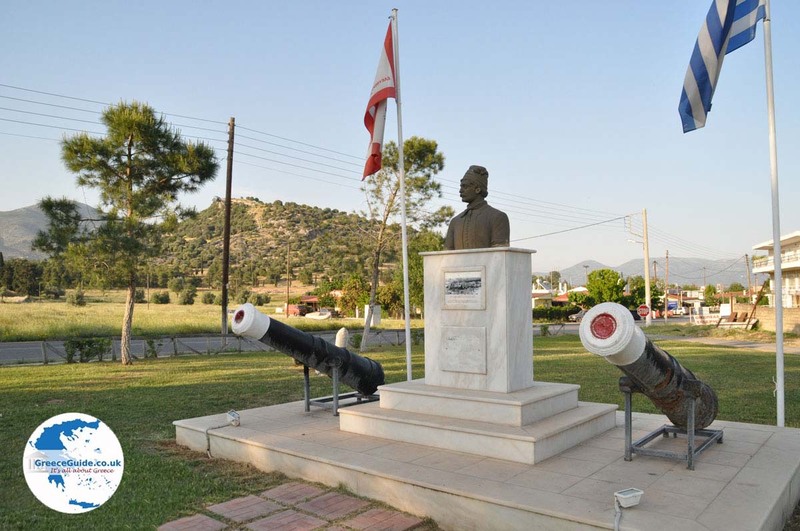 Eretria is situated 21 kilometers southeast of Chalkis. It is a town with a rich history. 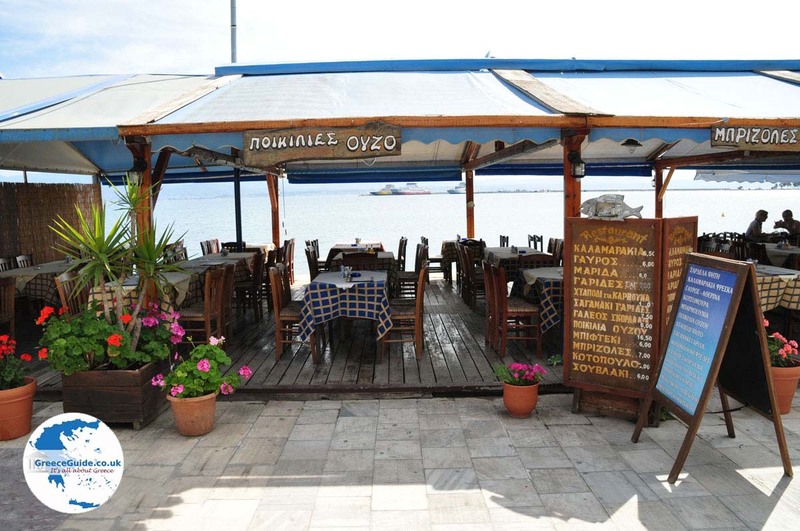 It is one of the most touristic areas of the island of Evia. 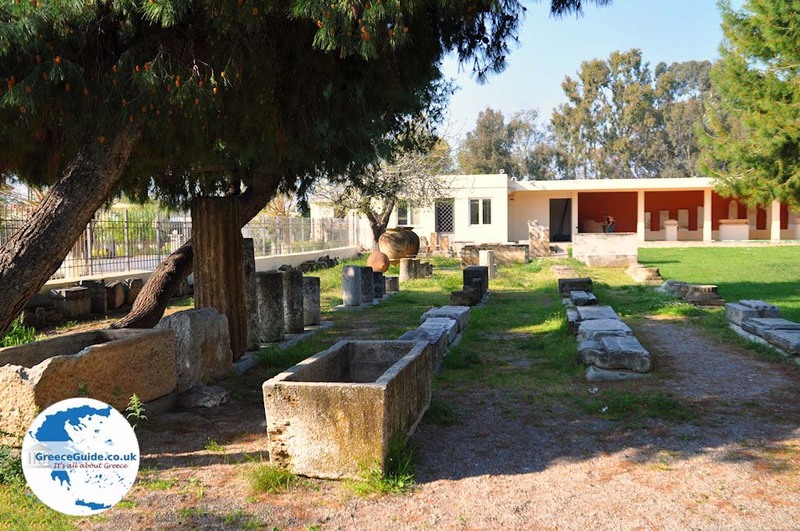 This town has approximately 6.000 inhabitants.. Archaeological findings such as the antique theater and Roman baths are located here. 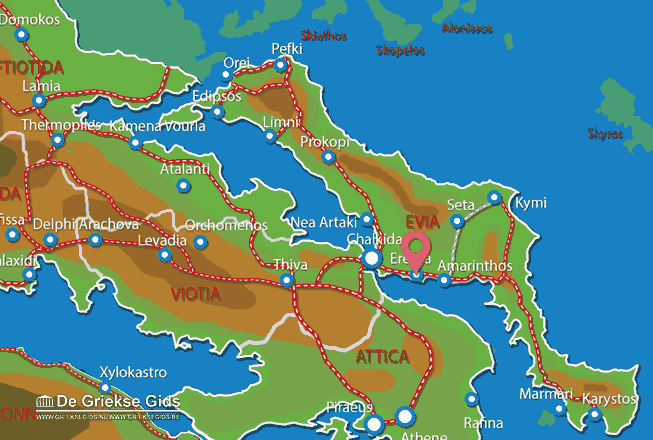 Ancient Eretria was the second most important city state (after Chalkis). 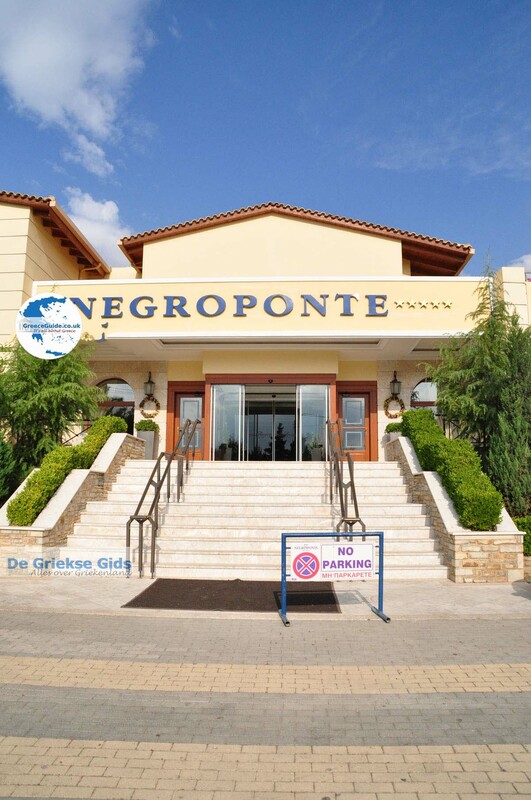 Supporting the Ionian revolt, this city was in 490 BC. destroyed by the Persians. 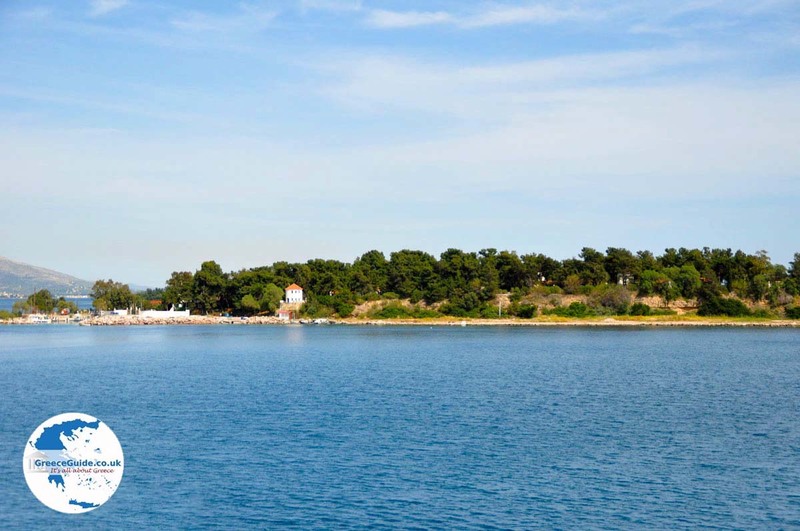 A feature of Eretria are the small islands just off the coast opposite the city, such as the "Island of Dreams" which is accessible via a bridge. 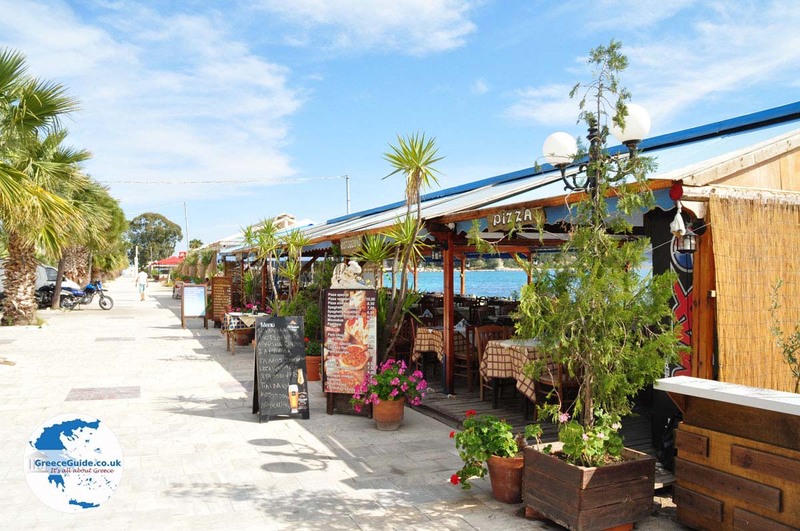 Eretria has nice boulevards with numerous terraces, kafeneions, ouzeries, taverns, restaurants and bars. The beaches in the area are very nice and well cared for. 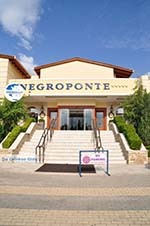 Many luxurious hotels and cheaper hotels as well as apartments are available here. 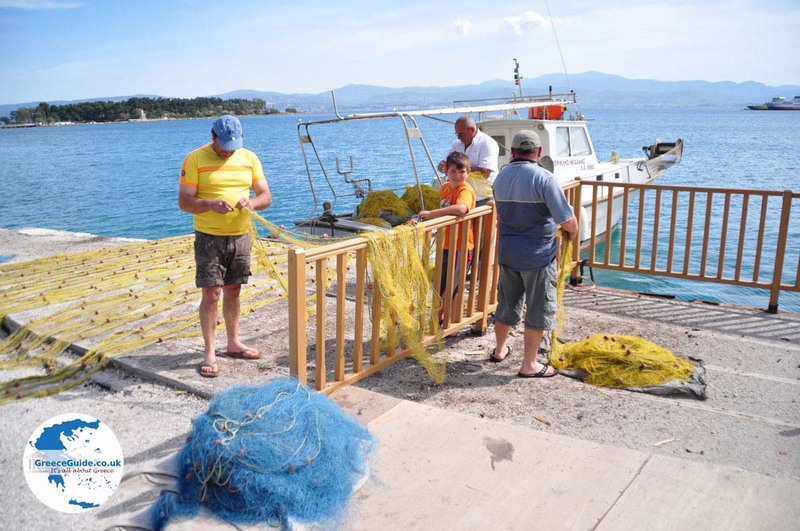 Eretria is best reached from Athens to Oropos and then cross by ferry. 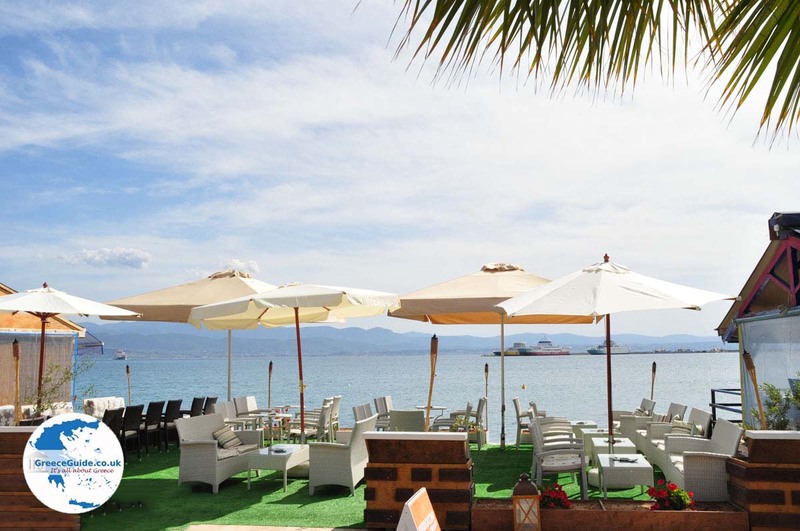 Every half hour a ferry leaves and the price is around 5 Euros per person. 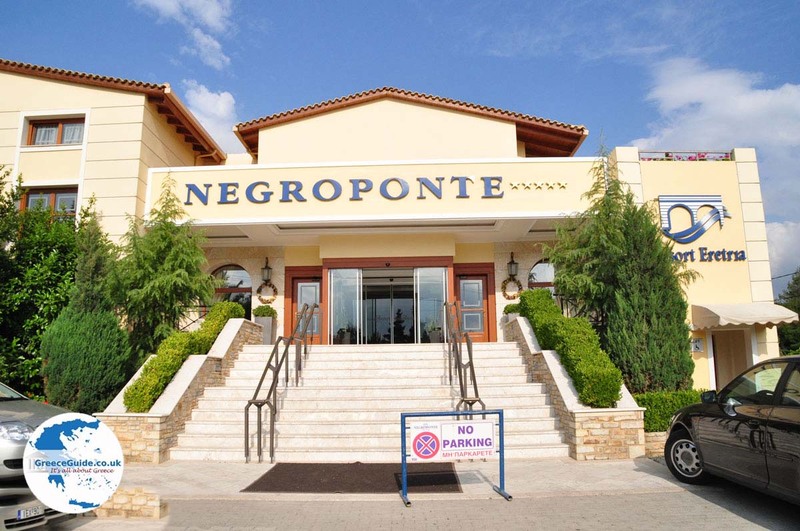 Oropos is located about 40 minutes from Athens airport. 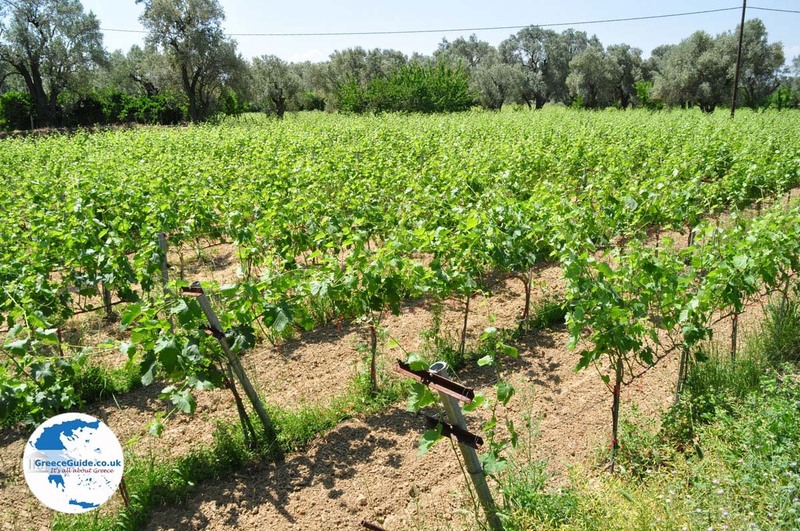 Euboea: Where on the map is Eretria located?